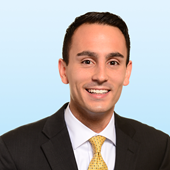 Jaime joined the Multifamily Advisory Group | East Region in 2013. She is responsible for managing a deal throughout the entire disposition process from the initial stages through close. This includes: due diligence coordination, research, listing agreements, presentations, BOVs, Offering Memorandums, and client updates. Additionally, Jaime works to develop, implement, and maintain property marketing materials such as flyers, postcards, brochures, website design and development, and e-blasts. Member of the Board of Directors, Quality Aircraft Tooling Inc.
Ron is a Senior Vice President with Colliers International - Atlanta. He specializes in investment sales with a primary focus on multi-family related investments. Prior to joining Colliers International, Ron was with Primary Capital Realty Group, where he was responsible for all facets of investment sales for multi-family, shopping centers and land. He partnered with the Commercial Mortgage Group to provide investors, both buyers and sellers, with all aspects of financing options to meet their needs to ensure a successful transaction. Ron has over 25 years of investment sales and brokerage success primarily within the Southeastern United States. He has successfully closed over $750 million in sales over the past 12 years. Mr. Mathews is the acting Managing Director and Platform Leader of the East Region Multifamily Advisory Group, actively managing twenty five producers and twelve essential support members. Since 2012, Mr. Mathews has assisted with the sale of over 47,700 apartment units totaling $4.8 Billion. 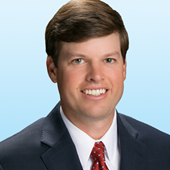 Mr. Mathews is routinely recognized by Colliers International as a top producer nationally. Mr. Mathews specializes in institutional and private capital multifamily sales and the placement of equity and debt capital. 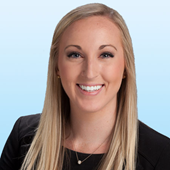 Payton is an Execution Specialist with the Colliers International Multifamily Advisory Group | East Region. She specializes in deal execution and due diligence coordination across the East Region platform, encompassing 23 states. She also effectively manages and communicates with each local market partner throughout the platform for new business. Prior to joining the Multifamily team, she worked as a tenant rep broker in the Retail industry representing groups from publicly traded companies to local entrepreneurs. 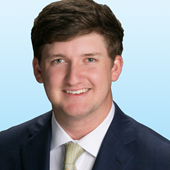 Max joined Colliers International in June 2017 as an Associate with the Multifamily Advisory Group | East Region. Max's exclusive focus is on the disposition of multifamily assets in North and South Carolina providing the necessary expertise to optimize pricing and provide a certainty of execution. Colliers global, national, regional, and local relationships provide a comprehensive spectrum of opportunities for our clients. Whether a multi-state portfolio or a single asset transaction, we utilize our multitude of resources to obtain the industry’s preeminent client experience. 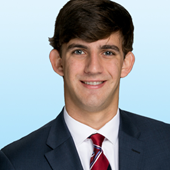 Prior to joining the Multifamily team , he completed an internship with JLB Partner's Atlanta office. Focusing primarly on Commercial Development in the southeast region. He was also tasked with providing underwriting and due diligence for all potential client transactions. Max attended the University of Georgia, graduating from the Terry School of Business with a degree in Real Estate. 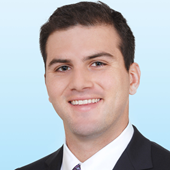 Ryan joined the Colliers East Region Multifamily Group in January of 2018. 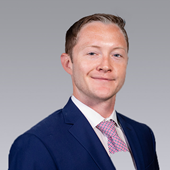 Ryan's exclusive focus is on the disposition of multifamily assets in North and South Carolina providing the necessary expertise to optimize pricing and provide a certainty of execution. 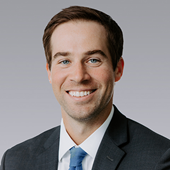 Prior to joining the multifamily team, Ryan started with Colliers in 2016 and served as a broker in the San Francisco office, representing private clients in roughly 100M of transactions. Ryan attended Furman University in Greenville, South Carolina and was a 4 year letterman on the Furman baseball team and majored in Business Administration. 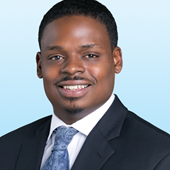 Carter joined Colliers International in mid-2017 as an Associate with the East Region Multifamily Advisory Group. He specializes multifamily investment sales throughout the Southeast including South Georgia, Alabama, Mississippi, and Louisiana. To date, he has been involved in assignments spanning several states with total sales volume in excess of $100 million dollars, ranging from sub-100 unit assets to institutional portfolio dispositions. Carter attended The University of Alabama, graduating from the Culverhouse College of Commerce with a degree in Marketing, with a specialization in Real Estate. In his spare time, Carter enjoys playing golf, watching college football, and spending time on the lake. He is an avid Atlanta sports fan. Ashley serves the Savannah real estate market in the office, retail and multi-family sectors where he specializes in leasing and sales. Additionally, Ashley represents tenants and buyers with a well-rounded view of the market. He is the only broker in Savannah, Georgia with both SIOR and CCIM designations, making him the go to for investment sales in the area. Bob Galamba joined the firm in 2008 as a Senior Vice President and became a Shareholder in 2010. 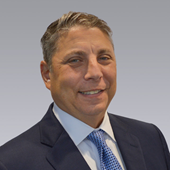 Prior to joining Colliers International, Bob operated his own firm, Galamba Real Estate Services, LLC, a brokerage and development company. Previously, he served as Executive Vice President and Partner of NAI Cohen Esrey. Bob has been active in real estate since 1986 specializing in investment property brokerage and consultation of single & multi-tenant industrial properties. His expertise also extends to land sales and multi property sales. His wide range of experience and accomplishments in commercial real estate span various disciplines, scale, and geography. Over the years, using his creativity and experience, Bob has been a managing partner for rehabilitation and new development projects. His investment experience allows him to provide a unique perspective to assist clients with site selection, disposition and development services. Gabe represents investors and developers in the sale of multifamily assets throughout the Midwest. He is a member of Colliers' Multifamily Advisory Group, a strategic multi-market team with experiencing selling over 77,600 units totaling $7.8 billion in consideration since 2011. The team provides clients with local market knowledge, national relationships, and proven expertise to execute every assignment. Gabe is actively involved as a Young Leader within the Urban Land Institute and serves on a team leading campus expansion and building projects for a local church. Taylor previously led community development and was a key fundraiser for New Hope Academy, a private school in Franklin that reserves 50% of its seats for low-income scholarship students. 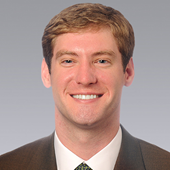 Prior to joining New Hope, Taylor worked for 7 years as an investment advisor - he worked with many of his firm's high-net-worth and real estate-adjacent clients, aiding in the analysis of financials and market data to determine acquisition or disposition valuations for commercial/multifamily assets. A lifelong Nashville native and a graduate of Sewanee: The University of the South, Taylor has served on the board of Williamson County CASA since 2014 and acted for 3 years as treasurer of Next Gen | The Heritage Foundation. He remains engaged with New Hope Academy, where he now leads the student mentoring program in a volunteer capacity. Taylor is also a former collegiate baseball player and golfer and continues to enjoy competitive golf in his spare time.